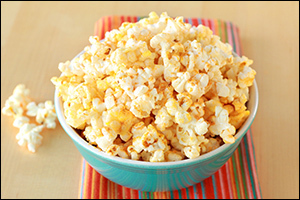 Place popcorn in a wide sealable container (or a large bowl). Spritz with nonstick spray, and sprinkle with taco seasoning. Lightly crush chips/rice cakes, and add to the container (or bowl). Seal, and shake to mix. (If using a bowl, lightly toss.) Enjoy! Chocolate-covered strawberries and popcorn are both great... but did you ever think you'd experience both flavors at once? The time is now! Place popcorn in a wide sealable container (or a large bowl). Top with strawberries and chocolate chips. Seal, and shake to mix. (If using a bowl, lightly toss.) Yum! 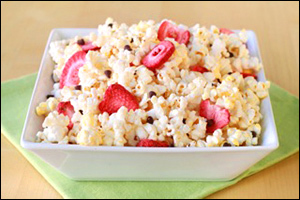 Because everyone has a few bags of microwave popcorn in their pantry... Click "Send to a Friend" now!